As I have mentioned before in this blog, the S&C holds monthly prototypical operating sessions. The railroad normally takes a crew of 10 people to operate. 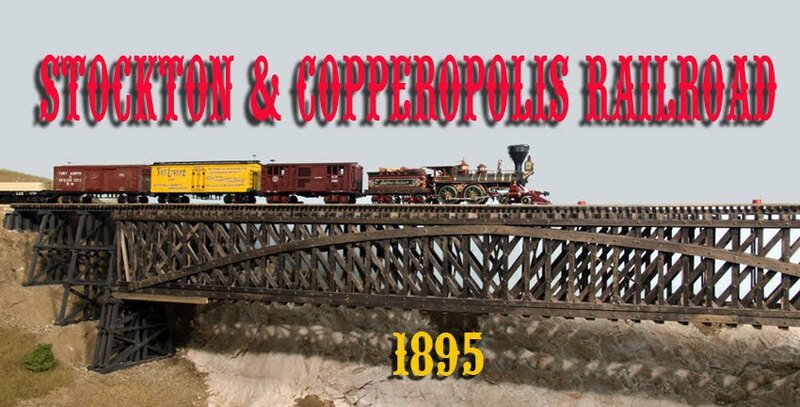 The jobs consist of a dispatcher, operator to copy train orders and operate the interlocking machine, and a yardmaster for Stockton Wharf. Sessions last about three hours long, the morning session covering 5:30 a.m. to 2:00 p.m while the afternoon session runs from 2:01 p.m. until the last train is in (usually about 10:30 p.m. or so). We are not running a night session but that may change when management decides to paint some of the locomotives it has stored in boxes. Here's the Replay camera. 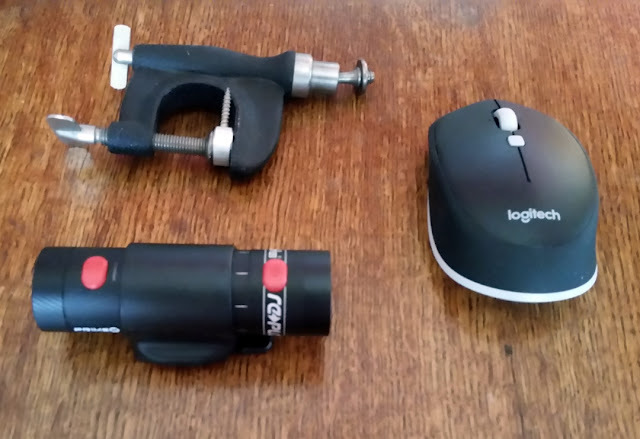 The computer mouse is in the photo just for a size comparison. The nifty little clamp above the camera dates from the 1940s and is very good for holding small cameras. Last Saturday, July 16, we had July's session but with only nine folks in attendance. It turned out to be real good especially since I got to try out a new camera. It is the Replay Prime X which is a neat little video camera designed for use by people with more active hobbies such as skydiving, Motocross, skiing, etc. It has a variety of clamps so it can be attached to a tripod, bicycle handlebars, stuck on a wall and so on. For some reason, it didn't come with an attachment to fit on a model railroad car. For last week, it didn't matter since it was just a test so I clamped the camera to the fascia just above Peters and recorded the entire 3-hour session in time lapse mode. Here's the results in only a minute and a half. The experiment also allowed me to get familiar with a new video editing program. The video isn't all that great (it was only a test) but it proves that the camera can be used for other railroad purposes. My next job will be to attach it to a car so I can photograph while the train is moving. A combination of 3D printed boiler/cab on a HOn30 mechanism produced this nice little switch engine for the yard at Holden. The track sliders can be seen between the drivers. They will eventually be painted. to hide them. Although my narrow gauge feeder, the Stockton & Ione is not yet ready for operation, I ran across a blog post about a fellow who used an HOn30 Japanese mechanism and a 3D printed body to build a light Porter 0-4-0T. I purchased the chassis and the body parts and built up one of these little locos. I weighted the boiler and tank with tungsten putty and installed a Soundtraxx mobile decoder (I wanted sound but there is just no place I could find to put a speaker). 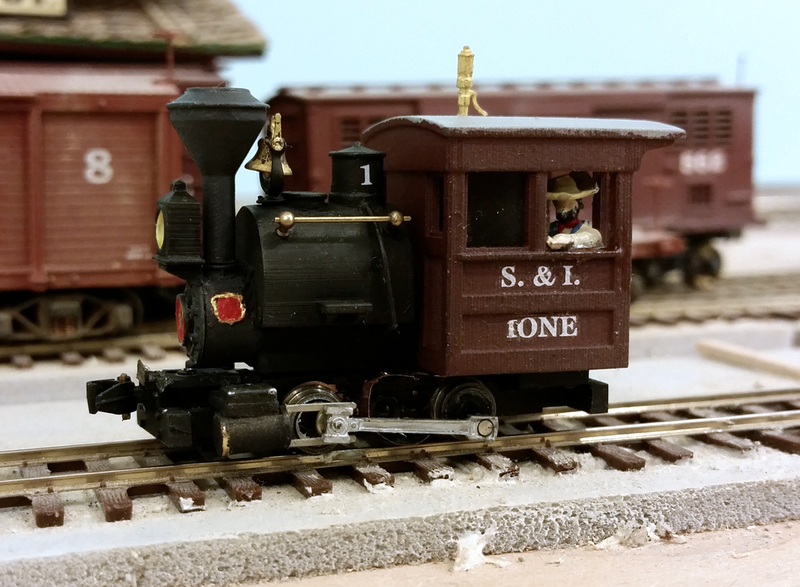 The Ione can easily pull two cars plus a little more. There were a few problems to overcome, however. The first was that the wheels were gauged for HOn30. 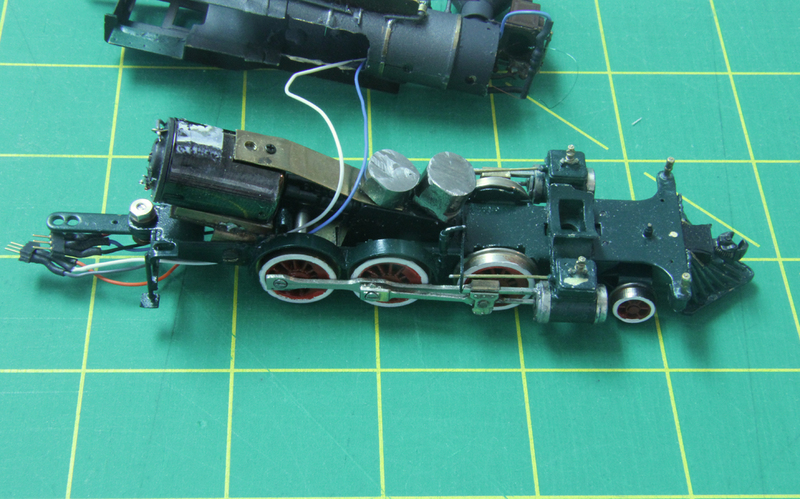 I first thought about replacing the 2mm axles with longer shafts but found that I could simply pull out the wheels on the existing axles to HOn3 gauge. The second major problem is electrical pickup. The chassis comes with wipers on all four wheels which is just not enough. I added some track sliders between the drivers and that helped quite a bit but the engine still stalls every now and then. The more I run the engine, the better it runs so it might just need some more running. Overall, the performance is very good. The engine can pull 2 cars with ease and a third one on level track, just about what the prototype would be expected to do. It does run very well with the mobile decoder and some momentum built in. The Storey sits on the Copperopolis turntable ready for her next assignment. The engine was the Virginia and Truckee Railroad's No. 3. The second engine of my two-locomotive project is now out of the shop and ready for service. The Storey, another Virginia and Truckee locomotive, was constructed very similar to the Ormsby. It uses the Porter Mogul frame plus the boiler and cab. The motor and gearbox were replaced along with the drivers (now 48"), cylinders, stack and domes. The driver spacing was altered and, thus, new siderods had to be made as well. 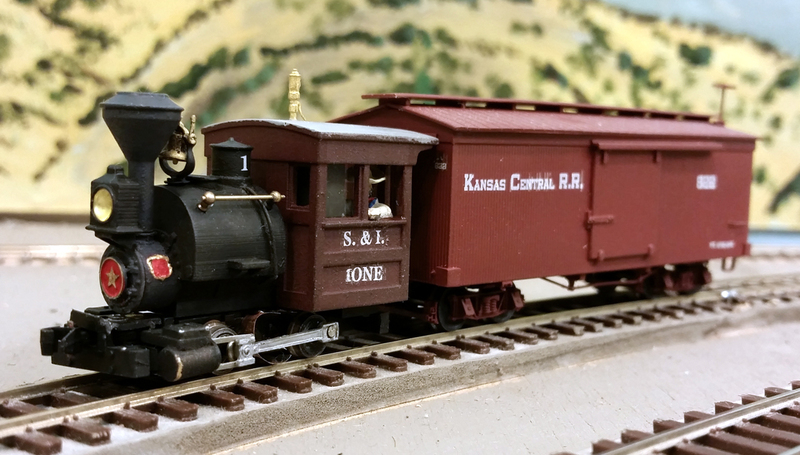 I thought that the original mogul tender was too small so I used a larger one which was originally from a PFM Reno locomotive. The new motor was mounted on two pieces of brass box beam to raise it to a height suitable to connect to the gearbox. A torque arm was connected between the gearbox and the motor to prevent alignment problems. The two cylindrical items on top of the gearbox are tungsten weights. The cylinders are from a Model Engineering Works Tahoe. The gearbox used was a Northwest Short Line 36:1 box with no idler gear. This was connected with the new motor with NWSL U-joints. A torque arm was installed to keep things aligned. Tungsten weights were used in the boiler, cab and on top of the gearbox to get enough weight in the locomotive. A Tsunami TSU-750 along with a sugar cube speaker were mounted in the tender. With the Storey and Ormsby sitting side by side, it is easy to see the size difference between the two locomotives. The Storey was more the size of the later Baldwin engines bought by the V&T.